Make sure that the soil is ready to be worked. To test this, grab a fistful of soil. Soil that is ready to work crumbles easily in your hand. If the soil is too wet to work, it will form a solid clump (the consistency of modeling clay) and will not crumble under pressure.... Dig only when the soil is moist enough to form a loose ball in your fist, but dry enough to fall apart when you drop it. 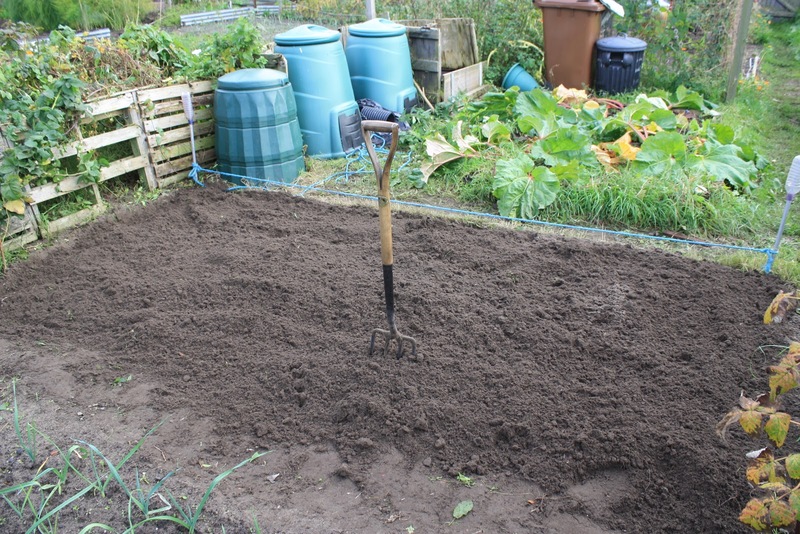 Use a spade or spading fork to gently turn the top 8 to 12 inches of soil, mixing in the organic matter from Step 4. In vegetable gardens and beds of annual flowers, turn the soil only once a year in the spring before you plant.